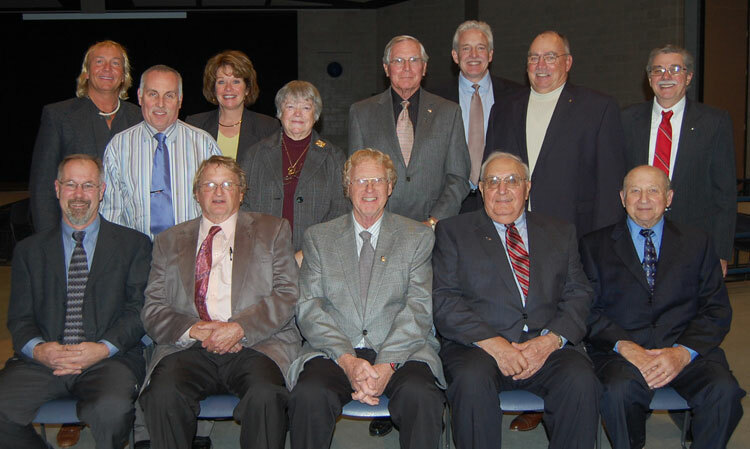 On Monday, December 6, 2010, the Penn Manor School Board hosted a leadership dinner. Past superintendents and former board members were invited to Manor Middle School for dinner prior to the annual reorganization board meeting. 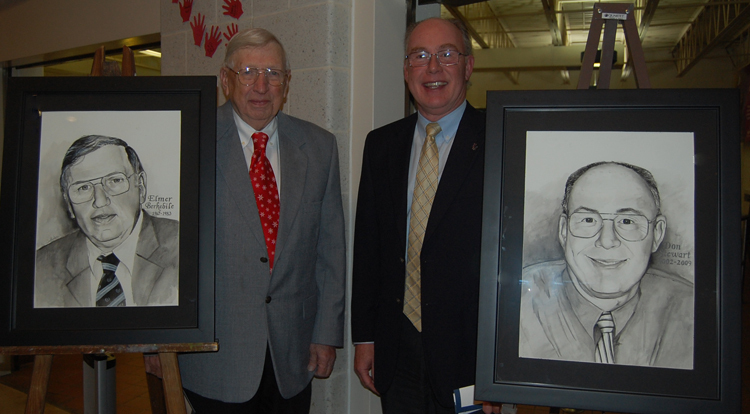 Penn Manor’s first superintendent, Dr. Elmer Berkebile, who served the district from 1967 until 1983, and Mr. Don Stewart, the previous superintendent, who served the district from 2003 until 2009, were honored with portraits which will hang in the district office. Penn Manor graduate, Ben DeLuca, painted the portraits.